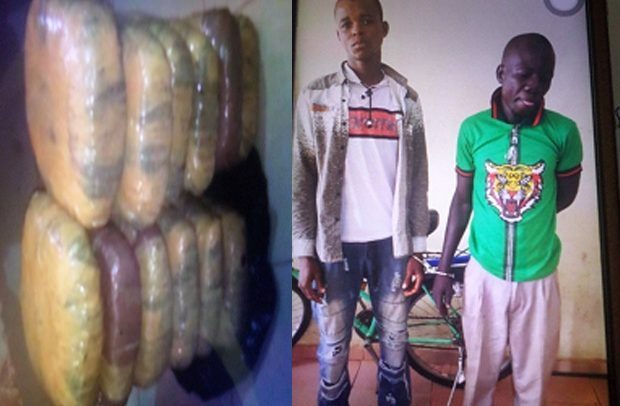 THE POLICE at Nkoranza in the Brong Ahafo Region have arrested two paddies for possessing 12 parcels of dried leaves suspected to be Indian hemp concealed in a taxi cab, which was being driven by one of them on the Nkoranza – Ejura road. They were arrested at about 7:30 pm by the police patrol team while on their usual highway patrol duties. The suspects are Yaw Osei, driver of the car with registration number GT 9804-G, and Mohammed Iddrisu, 36. They have been detained together with the car for further investigations. Brong Ahafo Police Spokesman, Chief Inspector Augustine Kingsley Oppong, confirmed the incident to DAILY GUIDE on phone.